Shovsoft is an independent game development outfit started by Sean ‘sh0v0r’ Edwards. Shovsoft sources content and skills through outsourcing and contractual work. Our first title 'Lunar Flight' was released for PC/Mac across a variety of Digital Download Channels including Steam in 2012. We aim to build upon our initial success with Lunar Flight and grow into a fully fledge Indie Development Studio targeting PC and Mobile Platforms. Enduring a 3rd job redundancy and seeing the Australian Industry crumble, after 10+ years working for big AAA publishers and other independent studios, Sean decided to try his hand at the independent scene. Lunar Flight was born after an evening playing around with Unity and created the catalyst needed to inspire Sean to pursue his dreams of independence. There are far more images available for Shovsoft, but these are the ones we felt would be most useful to you. If you have specific requests, please do contact us! "Alongside the delicacy of the simulation, Lunar Flight’s great achievement lies in its aesthetics." 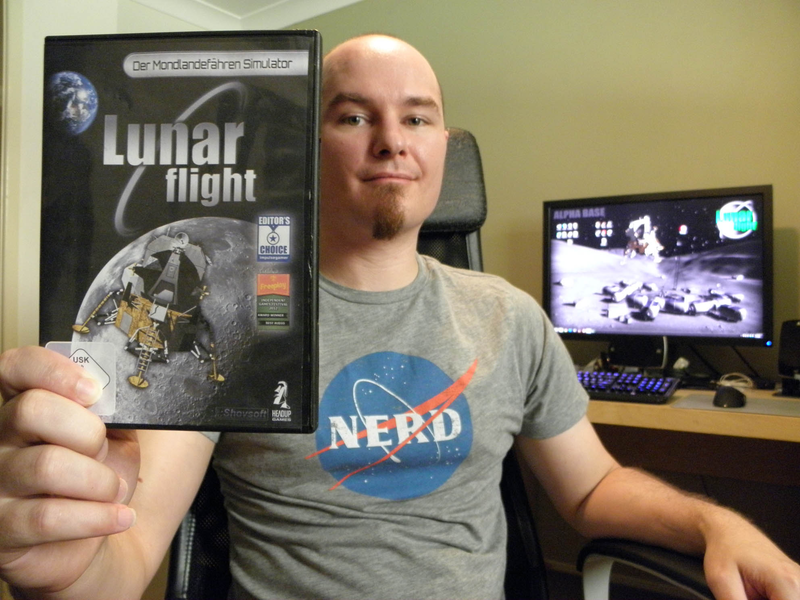 "Lunar Flight wraps an enjoyable physics simulation in an approachable and fun package." "I was pleasantly surprised at the quality, look and feel of Lunar Flight." "Go Land on the Moon, it’s Real Pretty up There"
If you want some help playing the game here is a Steam Guide steamcommunity.com.